Ask any racer. Any real racer. It don't matter if you win by an inch or a mile. This coastal city, in the south of the UK, is famous for its beachfront bars, making it the perfect destination for your stag do. But, before the sun goes down and you head for a drink, you need to arrange some activities that the groom-to-be will love. 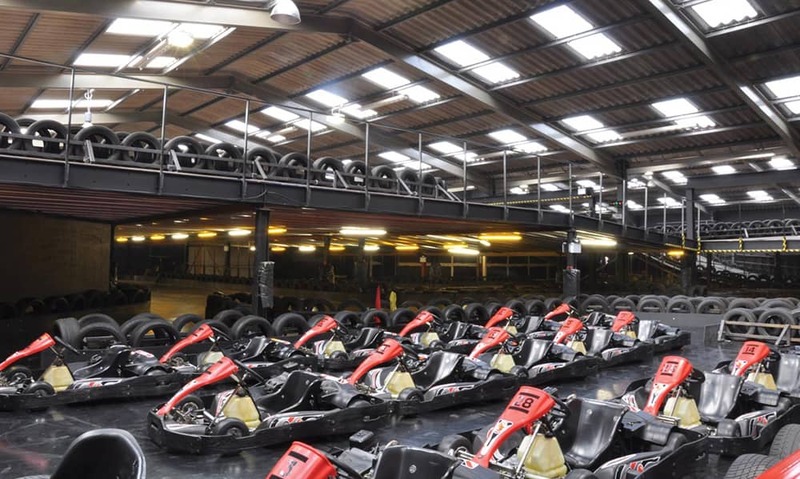 So, why not consider a day of go karting in Brighton? It is a guaranteed way to get everyone, from the father of the bride to the best man, bonding. 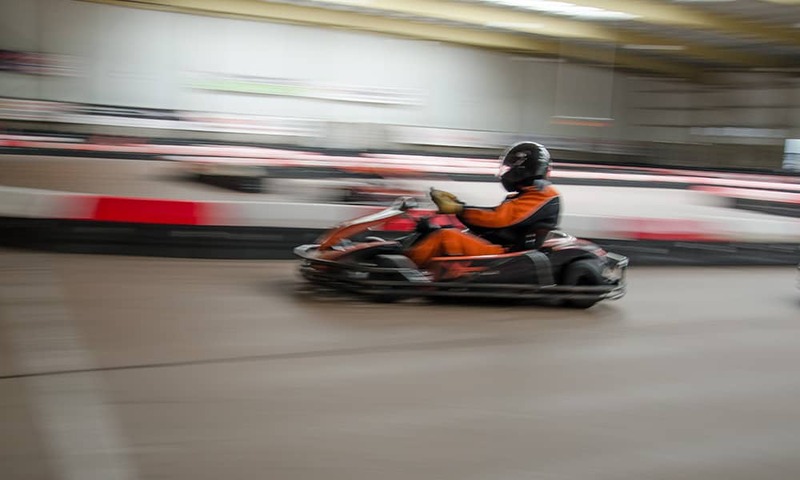 Indoor kart racing is fast and furious and is the perfect pick for a thrillseeking stag. 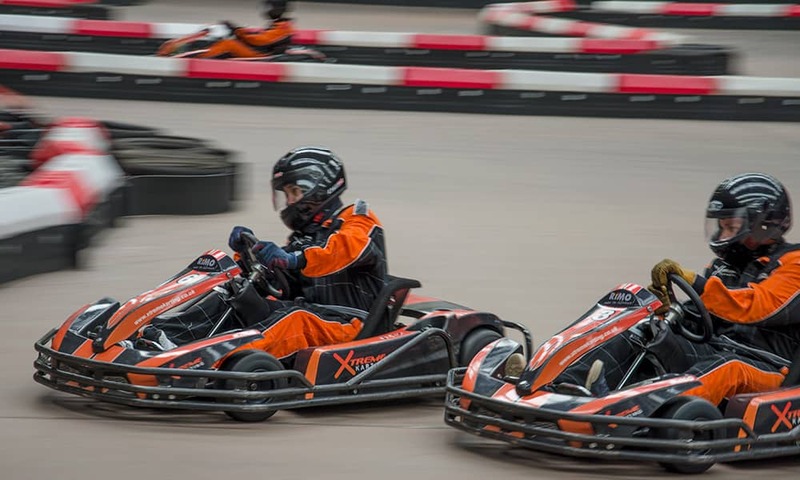 Endurance kart racing is a great race format, where you will need top team tactics and excellent driving skills to win, not to mention the need for rapid driver change overs and pit-stops. Alternatively, opt for our karting grand prix and go as fast as you can for yourself and your team. All our go karting involve practices before the big event so don’t worry if you’ve never tried it out before. Indeed, before you jump into a go kart, you will be given full race instructions in a driver briefing. All the necessary safety equipment is provided for you. No previous driving experience is necessary; not even a driving licence. There’s no need to worry about gears, just use the brake and accelerator and you're racing. Sprint down the fast straights; take the racing line through the bends, battle for position over the high flying bridge and dash to the finish line. The trackside marshals will ensure that the fun packed atmosphere reflects the true spirit of motorsport. The top drivers of the day get the opportunity to take their place on the winner’s podium to receive trophies and a bottle of bubbly. 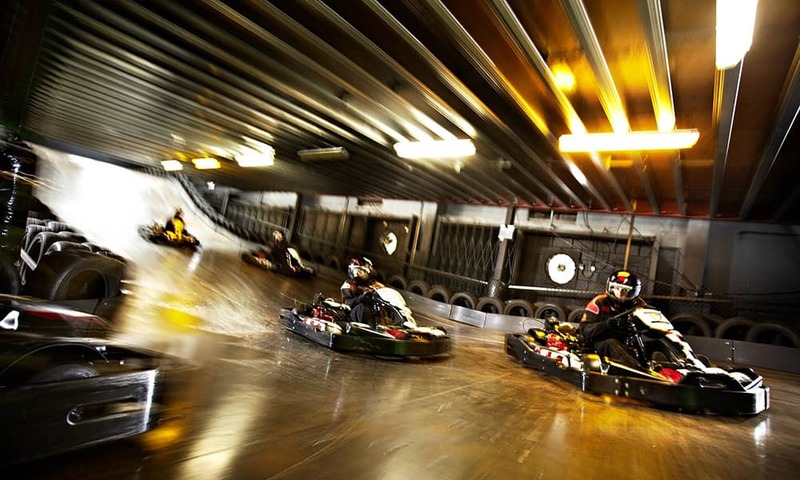 Our indoor go kart racing includes everything you need.